“The Seguidillas brought down the house. Beautiful pieces! A very special moment in our season” (Steven Blier, Artistic Director, New York Festival of Song). 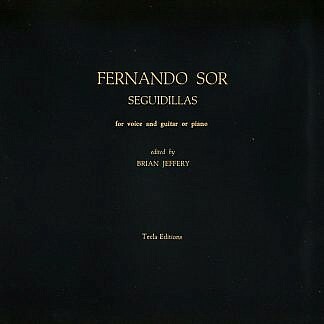 This book is the now famous edition of Seguidillas by Fernando Sor, edited by Brian Jeffery, which was the first time that these songs had ever been published since their own day. They are witty and amorous songs in Spanish for voice with guitar (or piano) accompaniment. 64 pages. Re-engraved. With an English translation for each text and with a full introduction explaining what exactly seguidillas are. The guitar accompaniments are mostly not difficult. 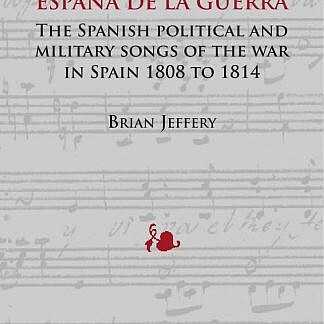 With photographs of two songs from the MSS in which they are found, and a facsimile reprint of Sor’s own article “Le Bolero”. The paperbound version has now been reprinted and it is now available again. 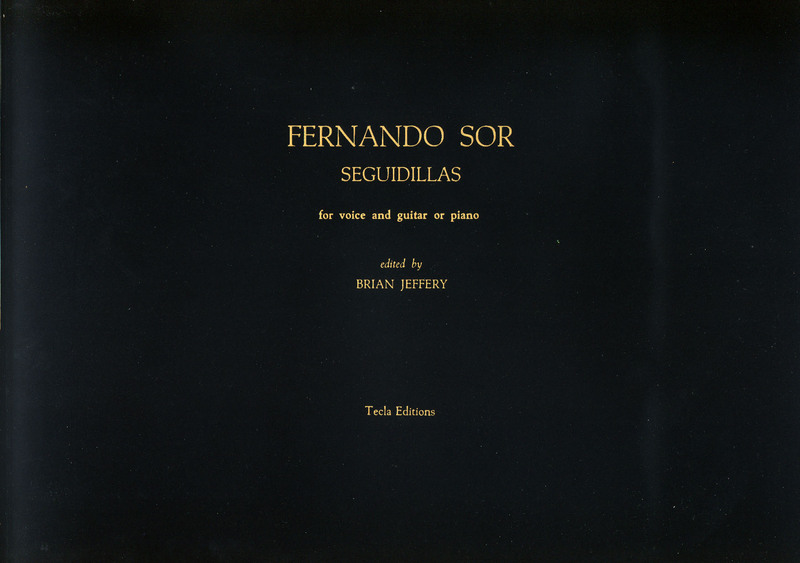 Fernando Sor composed these seguidillas in Spain in about the 1790s and 1800s, for voice with guitar accompaniment (some with piano). They take a significant place in the history of Spanish song and of popular song in general. “The Seguidillas brought down the house. Beautiful pieces! A very special moment in our season” (Steven Blier, Artistic Director, New York Festival of Song). “Like the Mazurkas of Chopin”, said a musician who performed them. If you’re performing Sor’s Seguidillas, you really need TWO COPIES, one for the singer and one for the guitarist. Don’t fiddle with photocopies: if you like, you can get two copies, one for each of you, at a specially reduced price. Enter 2 into the purchase button and the discount will be automatically applied. Or consider getting the clothbound. The twelve songs are as follows. First published 1976, reprinted 1990. 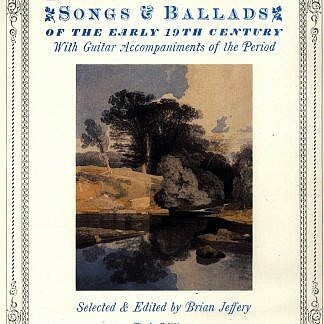 ISBN: Paper edition 978-0-906953-01-3, cloth edition 978-0-948607-05-9.